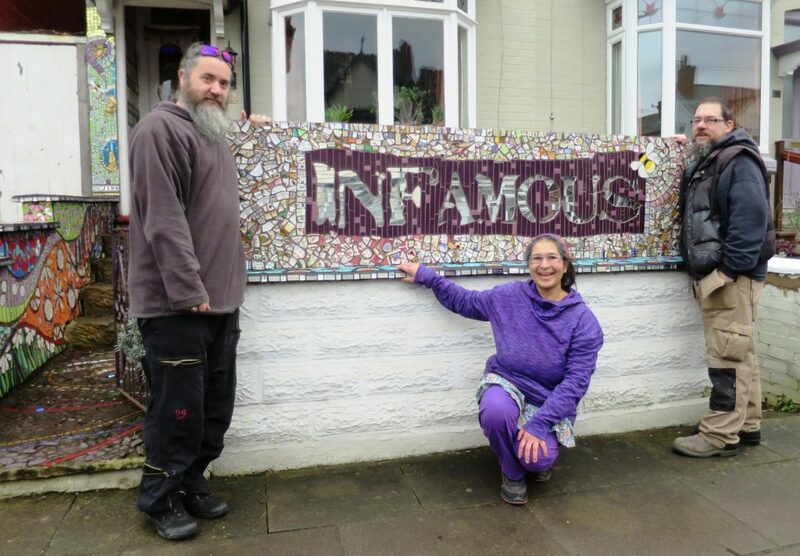 I was commissioned to create a Mosaic Picassiette signpost for my friends at Infamous Community Arts. The external signpost measures 8 x 2ft and will be installed onto existing metal posts at the industrial estate where they run their workshops and commissioned work! I have a work-in-progress album on my Mango Mosaics Facebook Page!